December 10th is the 344th day of the year (345th day in leap years) in the Gregorian calendar. There are 21 days remaining until the end of the year. On this page, we have placed information about December 10th, including famous people born on, historical events that occurred on, holidays and observances that fall on, and astrological connections of, this day. 1799 France adopts the meter as the unit of length. 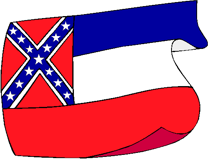 1817 Mississippi admitted as 20th US state. 1868 First traffic lights installed in London. 1869 Wyoming grants women the right to vote. 1870 The North German Confederation Reichstag renames the Confederation as the German Empire. As President of the Confederation, King Wilhelm I of Prussia is given the title of German Emperor. 1898 The Treaty of Paris is signed, officially ending the Spanish-American war. 1901 First Nobel Prizes awarded. 1904 US President Theodore Roosevelt wins the Nobel Peace Prize, (and is the first American to win a Nobel Prize of any type). 1936 British King, Edward VIII, signs the Instrument of Abdication. 1941 British Royal Navy ships HMS Prince of Wales and HMS Repulse are sunk by Japanese bombers. 1948 UN General Assembly adopts the Universal Declaration of Human Rights. 1965 The Grateful Dead perform their first concert under this name. 1978 Israeli Prime Minister Menachem Begin and Egyptian President Anwar Sadat are jointly award the Nobel Peace Prize.